I’ve put together this exhaustive guide to answer all of these questions for you, and for me! You may want to bookmark this guide, being well over 4,000 words; if you ever want to come back to it in the future. What Age Should Kids Start Driving? Who Should Pay for Your Kid’s Car? Who Should Pay for the Car Insurance? Who Should Pay for Gas and Maintenance? Should Your Kid Get a Car Loan? Should You Co-Sign for Your Children? I still remember my first time driving alone. I was 16, because that was the legal age in my state at that time (it’s now 18, as many states are today). I loved the fact that I could drive at 16, but thinking back on it, I’m lucky I didn’t kill myself. I was about as responsible with driving as the government is with money. Let’s start by looking at what age your kids can start driving. Alaska 14 16 16, 6 mos. Arizona 15, 6 mos. 16 16, 6 mos. Arkansas 14 16 16, 6 mos. Kansas 14 16 16, 6 mos. Maine 15 16 16, 6 mos. Minnesota 15 16 16, 6 mos. Mississippi 15 16 16, 6 mos. New Hampshire 15, 6 mos. 16 17, 1 mo. New Mexico 15 15, 6 mos. 16, 6 mos. North Carolina 15 16 16, 6 mos. Oklahoma 15, 6 mos. 16 16, 6 mos. Rhode Island 16 16, 6 mos. 17, 6 mos. South Carolina 15 15, 6 mos. 16, 6 mos. Vermont 15 16 16, 6 mos. Wisconsin 15, 6 mos. 16 16, 9 mos. Wyoming 15 16 16, 6 mos. Regardless of what the laws say about when our kids can start driving, “can” and “should” are two different things. The law shouldn’t be the only deciding factor here. And it’s a case-by-case basis. You know each one of your children better than anyone. At whatever age your kids start driving, they’re going to be at a higher risk in their first year. They’ll be getting used to being behind the wheel, the roads, other drivers, street signs, and everything else that goes along with such a great responsibility. This is especially true for boys since they tend to be roughly twice as risky on the road 1. So what age? 18 seems to be a good minimum age. Talk to your kids about the dangers of driving younger so they won’t even want to. At 18, unless they’re in your house under your rules, you can’t really control whether they drive or not. And it is a much safer age than 16 or 17, statistically. Most countries don’t allow children to drive until they’re 18, and that’s really saying something since those same countries often allow kids to drink at 18. Of course, this all depends on where you live. I know plenty of farmers who live in rural areas and allow their children to drive around their small towns — legal or not. You make the decision on when your kids start driving. Consider all the facts and risks, and make the call. I remember riding with my friends who were at least as irresponsible as I was, and at times, I was terrified… though I tried not to show it. I could easily pretend I was having fun while flying down the road at 4x the speed limit, over blind hills. But inside, the emotions I experienced were anything but fun. Now that I know teenagers are 3x more likely to be in a fatal car crash than older kids 2, I shudder thinking about how I could’ve been a statistic. The younger your kids start driving, the higher the risk. At 16, teens are 40% more likely to be in a fatal crash than they are at 18. Two years apparently makes a world difference. We become more responsible drivers as we get older, and I don’t think anyone would argue with that. Our kids may think we are trying to steal their fun by not letting them drive as early as the law allows, but a few facts and figures should show them the risk. It’s for their own good that we delay their driving until later in life, so that there is a later in life. About 2 out of every 3 teenagers killed in crashes in 2016 were males. Since 1975 teenage crash deaths have decreased more among males (72 percent) than among females (57 percent). In 2016, teenagers accounted for 8 percent of motor vehicle crash deaths. They comprised 9 percent of passenger vehicle (cars, pickups, SUVs, and vans) occupant deaths among all ages, 6 percent of pedestrian deaths, 3 percent of motorcyclist deaths, 8 percent of bicyclist deaths and 15 percent of all-terrain vehicle rider deaths. Seventy-six percent of teenage motor vehicle crash deaths in 2016 were passenger vehicle occupants. The others were pedestrians (11 percent), motorcyclists (6 percent), bicyclists (2 percent). In 2016, 56 percent of deaths among passenger vehicle occupants ages 16-19 were drivers. In 2016, teenage crash deaths occured most often in June and May; July, August, October and November also saw elevated crash deaths among teens. Fifty-three percent of motor vehicle crash deaths among teenagers in 2016 occurred on Friday, Saturday or Sunday. Teenage motor vehicle crash deaths in 2016 occurred most frequently from 9:00 p.m. to midnight (18 percent). In 2016, 55 percent of the deaths of teenage passengers in passenger vehicles occurred in vehicles driven by another teenager. Among deaths of passengers of all ages, 13 percent occurred when a teenager was driving. 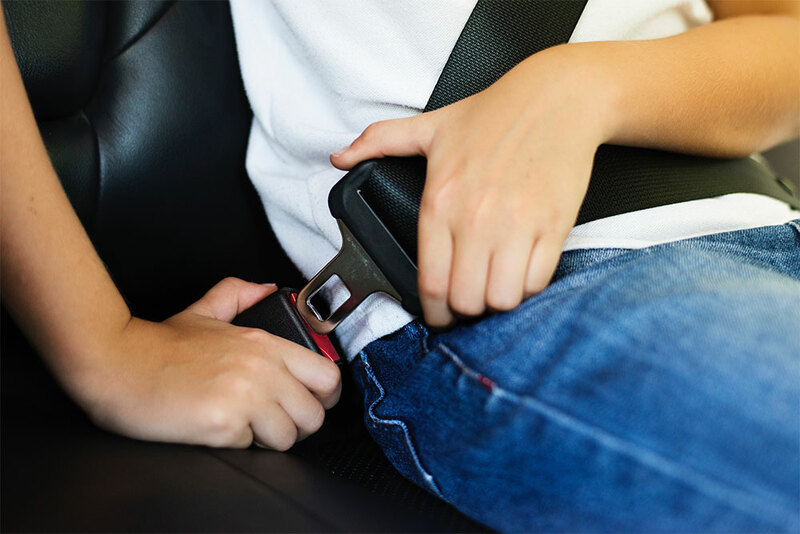 In 2016, belt use among fatally injured passenger vehicle drivers age 16 (50 percent), 17 (52 percent), and 18 (52 percent) was higher than among fatally injured drivers age 19 (41 percent) and those ages 20-59 (41 percent), but lower than among drivers 60 and older combined (62 percent). Among fatally injured 16-19 year old occupants, belt use among passangers (35 percent) was considerably lower than among drivers (49 percent). Note, that belt use among those fatally injured is not always accurately recorded but it gives an indication of relative belot use rates in serious crashes by age group. Among passenger vehicle drivers ages 16-19 involved in fatal crashes in 2016, 46 percent were involved in single-vehicle crashes. This was higher than for drivers ages 25 and older (36 percent). Among fatally injured teenage drivers in 2016, females were less likely than males to have high BACs. Among fatally injured passenger vehicle drivers ages 16-17, 13 percent of males and 11 percent of females had BACs at or above 0.08 percent. Among fatally injured drivers ages 18-19, 25 percent of males and 13 percent of females had BACs at or above 0.08 percent. The AAA Foundation for Traffic Safety released a report in May 2012 that showed that the risk of 16- or 17-year old drivers being killed in a crash increases with each additional teenage passenger in the vehicle. The risk increases 44 percent with one passenger; it doubles with two passengers, and quadruples with three or more passengers. The study analyzed crash data and the number of miles driven by 16- and 17-year olds. 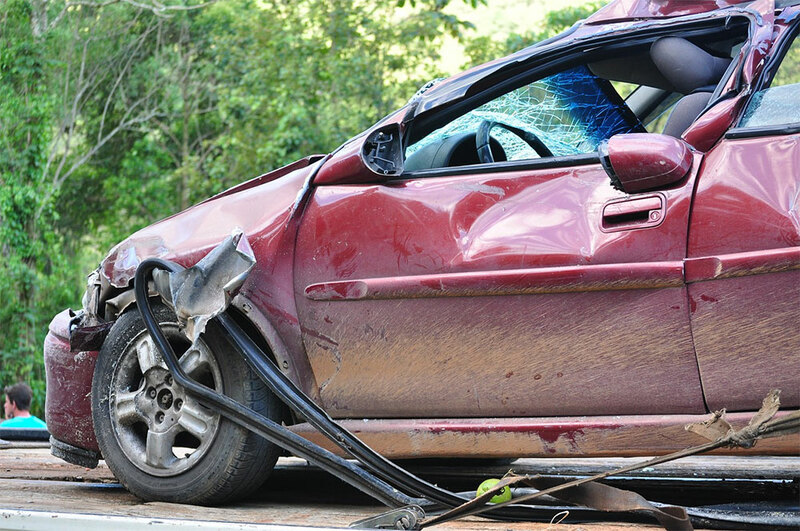 Motor vehicle accidents are the leading cause of death among teens 3. Let your kids know about this. However, your kids aren’t the only ones who can jeopardize their life. If you’re going to hold off on letting them drive alone, you need to be mindful of letting them ride with others. Teens are at greater risk of an accident when friends are in the car, according to a Temple University professor’s study 4. Even if they feel uncomfortable, they won’t always admit to it for fear of being judged by their peers. A few rules in place can keep your kid out of situations like this. To avoid the fear and worry of letting your kids drive young, or ride with other young kids, set a few ground rules. Before your kids start driving you’ll have to decide who your kids can ride with. Can they ride with any friend? Or no one under 18? Or no one other than you? It’s your call, but let it be known and let it be clear. If they are riding with someone other than you, have them call you when they get where they’re going. Have a plan in place in the event that your child doesn’t feel comfortable riding with someone and needs to be picked up. When your children do start driving, it’s best to minimize driving at night. At least for a while. Talking and texting while driving should be avoided at all cost, especially since both are illegal in many states. Stress the importance of following laws, such as speed limits and seat belts. Always discuss where your child is going, which route he is taking, who [if anyone] will be riding with him, and when he plans to be home. 44% of the time, teens feel safer driving without other friends in the car, and 67% of the time, they feel unsafe when riding with another teen 5. When your teen begins her driving journey, she should know the basics of car care. Your kids will be driving around in a giant box of metal worth thousands of dollars. They can at least make sure the tires have enough air. Your child doesn’t have to be a mechanic to drive a car, but he should at least know how to properly care for such an expensive commodity. Speaking of expensive… now it’s time for the fun part. Let’s talk funding. As a parent, is it your responsibility to pay for your kid’s car? As a responsible adult-in-training, is it their responsibility to pay for their own car? Or should you give them a little boost, but not all of the money? Or perhaps you could match what they save? You pay for their car. Some parents want to provide a car for their kid. There’s nothing wrong with that, but I do believe people take better care of things when they’re personally invested. It’s your prerogative. They pay for their car. Saving your own money and paying your own way can teach work ethic. It can teach the value of delayed gratification. It can teach discipline. If your kid pays their own way, she will learn how life works early on. You get them started. A little boost would be nice. Maybe $500 or $1,000 towards his car? That would be helpful. You wouldn’t be leaving him to fend for himself, but you wouldn’t be fully providing his ride either. You match what they save. If your child saves $1,000, she can buy a $2,000 car. If she saves $15,000, she can buy a $30,000 car. If you choose this route, I suggest saving the money in a separate account, at the same rate as your child. If this option isn’t reasonable for your pocket book, you can choose one of the above. For parents with several children, this may not be the most feasible option. What I’m Doing: My wife and I are taking option #4. We have five children and we know it will cost us a lot, but there are a few reasons we chose this route. We believe it (a) encourages them to save, (b) allows us to bless them, and (c) it simultaneously puts some of their own skin in the game. We know our children will save at different rates. We monitor closely to make sure we’re saving the same so that we’re not blindsided by a $10,000 match down the road. Back to the “what age should kids start driving?” question. Insurance is a big piece to that puzzle. Younger kids will be much more expensive to insure than older kids. Paying for insurance is kind of like paying for the car: you have options. You can pay all, part, or none of their insurance and those are all fine options. Your primary duty is to help them find a reasonable car that’s affordable over the life of the car. You must consider insurance and maintenance in the cost. What I’m Doing: We will pay for part of our children’s insurance. If they want a car with a higher premium, they’ll have to pay the difference. Encourage your kid to have an emergency fund for their car. It’s likely the only thing they have to worry about maintaining, so this shouldn’t be too difficult. $500 is typically a good amount to cover most unexpected expenses and routine maintenance. The more we, as parents, pay pieces here and there, the more we show involvement. Whichever way you go, let it be well thought out, and well laid out for your children. What I’m Doing: Our children will pay their own maintenance, but we will pay for gas. You could reverse that, or again, you could go with the “pay all” or “pay none” method. Ok, ok. Is it obvious that I hate debt? I think it’s dangerous to put your child [or allow them to go] into debt. An 18-year-old honestly doesn’t need a car expensive enough to require a loan, in my opinion. If they want to go down that road (no pun intended) later in life, leave it up to them. If you do decide to take out a loan for some reason, please, please, please read the next question. When someone (i.e. your child) needs a co-signer, that means the lender doesn’t think they’re going to pay up. That should tell you something. Not only that, but this could damage your relationship with your child if they do stop making payments. Don’t justify the decision by saying you are “helping your child build credit,” or something along those lines. If your child doesn’t pay, you’re just showing him that mom and dad will bail him out. Attempt to work out a payment plan with your child. If you are still in contact with them, they may be willing to at least help pay the loan, since they can’t pay it in full. Call the lender and negotiate the agreement. The lender may be willing to work with you, especially if you aren’t able to pay. They would rather get something than nothing. You may be able to negotiate a lower interest rate and/or a lower balance. Stay disciplined and learn from this. It may have been a bad idea for you to co-sign, but you can’t change the past, so why not learn from it? I doubt you will ever do it again. The good news is that this can be the last time you ever do. Odds are, you’ll want your children to have a nice enough car that you know it will get them from A to B, but not a brand new car with a factory warranty. That’s a big gap, but most parents fall somewhere between the two. Fortunately, there are plenty of ways to find a good deal on a nice, reliable used car. First, you have to know what you’re looking for. Once you’ve determined how the funding is going to work, you should have an idea at how much you can spend. Cars.com is a good place to find the type of car your child would prefer. You can also get the Consumer Report annual reviews for the different makes/models your child likes. It’s better to have an idea of what you’re looking for, rather than a specific car. The more flexible you are, the better your chances of finding a great deal. Now that you’ve narrowed it down, it’s time to hunt. Buy From a Dealer – Many people choose this option, because it seems safer (until the dealers surround you like a pack of wild dogs). And honestly, there are benefits to dealerships. You have multiple options right in front of you. You can test drive all kinds of different vehicles. But you’ll pay for that convenience. Buying from a dealership is much more expensive than buying from a private party. Just look at the cost comparison on Kelly Blue Book, and see how high dealer prices are. Buy From a Private Seller – This is the more affordable option. Your money will go farther. But it is a little more of a hassle. You’ll have to meet with multiple people to see multiple cars. Granted, that’s a small price to pay for saving a few thousand dollars. Don’t let your kid get married to the car. She may fall in love with it immediately, but letting those emotions get involved will cost her. The seller—especially car dealers—want you to fall in love with the purchase. It makes their job easier. Don’t be afraid to walk away. This goes right alongside not getting married to the purchase. It’s ok to walk away. Sometimes it’s the best way to get the seller to lower the price. But if they won’t, and you don’t like the price, run! Be informed from the start. When you see the type of car your kid is going to look at, help them get all the information about the car: the value, the specs, the features, etc.. If possible, get a CARFAX report ahead of time. These reports will only show what has actually been reported, so you still have to inspect the car properly, but it’s a great start. Any dealership should pay the cost of the CARFAX, and many private sellers will already have it available. You can use Kelly Blue Book and Edmunds to get the projected value of the vehicle before you show up. Don’t let the dealer tell you those prices aren’t accurate, because they are. The prices from websites like these are based on actual numbers, and they’re extremely current. Don’t coddle the seller’s feelings. – Some people (especially kids) will be afraid to hurt the seller’s feelings — whether private party or dealership. Dealers will actually feed on this. It’s great that your kid would care about others, but when it comes to a large purchase, they have to see it as a transaction. Don’t ever let someone guilt your children into a purchase. They will try. When you show up to see the car your kid is interested in, it’s time for a proper inspection. If the seller doesn’t have the time for you to do this, then he doesn’t have the time to sell you the car. Walk away. If he is cool with you inspecting it, start the process below. The best way to inspect a used car is to get permission to take it to a local mechanic that you trust. Mechanics will inspect used cars for you—for cheap and sometimes free—so that you know the car passes all the basic tests. If you’re left on your own to do the inspection, don’t worry! You don’t have to be an expert to help your kid inspect the car, you just have to look for a few key things. You want to make sure the car hasn’t been wrecked (or totaled! ), and you want to make sure there are no obvious signs of a major problem in the near future. Overview. Start by looking over the outside for any dents, scratches, or paint touchups. Use your mirror to look at the underside of the vehicle. Paint overspray is a sure sign of a body repair. A quick look down the side of the car, in the light, will show every little dent and ding. Make sure all pieces (e.g. hood, bumpers, fenders, etc.) have the same texture; if they don’t, this is a sign of a paint job on all or part of the vehicle. Dollar Bill Trick. Close each door (including the trunk/hatch) on a dollar bill. If you’re unable to pull the dollar bill out, that’s a good sign. If the dollar bill slips out of the closed door, that’s a sign that the car has been wrecked, and something has been repaired or replaced. Rust Check. Look for rust around and under the car. If one thing is rusted, it’s likely there is a lot more rust elsewhere. Windshield. Look closely at the windshield for any chips or cracks. Depending on your state, you may have to repair these before it will pass inspection. Also look for cracks that appear to show small splits that will turn into larger cracks. Wheels. Check the wheels for any dents or bending. This is a sign that the driver either hit a curb or a large pothole. It’s not a dealbreaker, but you’ll want to know if you have to replace the wheels, down the road (again, no pun intended). Tires. Check the tires for heavy wear or damage. 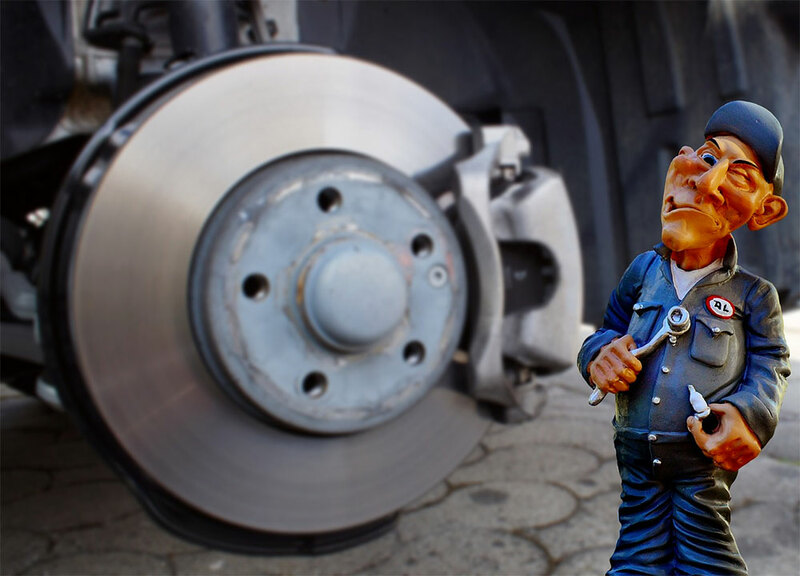 Replacing tires is required maintenance, but if you’ll need to replace them immediately, factor that into the price. You can use a quarter to check the tread. If you hold the coin upright, the tread should at least go to the bottom of Washington’s head. Magnet Trick. Use your magnet (ask permission first) to check for rust and filled areas. If the magnet doesn’t stick to the metal parts of the car, that’s a sign of a repair. Engine Noise Check. Start the engine—preferably from a cold start—to listen for any unusual sounds. If there is any smoke, idle problems, or rattling, it may be best to avoid the car. Fluid Check. It’s time to look under the hood. Check the oil. If there isn’t enough right now, the car has likely ran with low oil, which is terrible for the engine. Make sure the oil is a golden color, not solid black (black oil is another sign that the oil hasn’t been changed in a while). Smell the oil. A burnt smell is a bad sign. The same goes for antifreeze. Flashlight Test. Use your flashlight to check for leaks, filth, and anything else that shows the car hasn’t been properly taken care of. Check the battery and the terminals for corrosion. If the battery looks really old, a new one is something else to factor into the cost. Smell Check. Now hop back into the car. Check the interior for signs of smoking or pets. The smell is usually a dead giveaway. You can also look for stains, ash, and cigarette burns. Lights. Check the headlights, brake lights, tail lights, and all blinkers for proper function. Horn Test. Check the horn for proper function. Seatbelt. Inspect the seatbelts and make sure all work properly. Heat & Air. Make sure the heat and air conditioning work. It’s common to only think about checking heat or air, based on the time of year. Check both. And don’t forget to check the defrost. In our family’s history of cars, we’ve had to replace more than one blend door actuators. This is a huge problem in the winter time. So don’t forget to check the heat, even in the summer time. Windows & Locks. Check that all windows roll up and down, and all doors lock and unlock. Sound System. Make sure the stereo works properly. Use your USB/aux cord or CD to test it. Turn the volume up a little to check for any blown speakers. Spare Tire. Check for a spare tire and jack. Make sure all pieces are present for the jack. Key Fobs. Test the key fob(s), if it comes with any, to make sure they work correctly. Driving Test. Now it’s time to drive the car. Listen for any strange sounds. Briefly let the steering wheel go to see if the car blatantly veers to one side or the other (a sign that an alignment is needed). Make sure the car shifts properly, if it’s an automatic. A transmission is an enormous expense. If it’s a manual transmission, make sure all gears work properly (including reverse!). You’d be surprised how many cars are missing an entire gear — a guy I used to work with didn’t have first gear! For an even more in-depth checklist, click here. This is another good one. A car isn’t always a necessity. In more rural regions, it may be the only way, but that doesn’t mean your child must own one. Don’t feel bad if it’s not possible—given your current financial situation—for your kid to have a car. A family car is always a good option. If your child doesn’t have a license yet, there’s nothing wrong with getting rides from mom and dad, and other family members. In more condensed areas, or large cities where you’re close to everything, walking could be an option. Get some exercise in! In larger metropolitan areas, public transportation is a great option. The most important concern here is safety of course. Here are some quick tips to keep your kids safe on public transportation. R – Required Information: Go with them first to make sure they know the route, how to purchase tickets, and how to read the schedules. E – Encourage Groups: Have them ride in groups whenever possible. C – Caution: Educate them on any dangerous areas, or stops, they should avoid. A – Awareness: Teach your kids situational awareness. They should always be looking around to know their surroundings. Their face shouldn’t be buried in their phone. P – Plan: Have a plan if something goes wrong. Have a dedicated stop they can meet you at, or stay at (e.g. a public library), if they accidentally miss their stop or feel unsafe getting off. Public transportation is safe in most large cities, but dangerous situations can happen anywhere. Help your kids to be mindful. Give them the information they need to succeed. Did you [or do you plan to] help your child pay for their car? How strict or lenient are your boundaries for your child and their car? 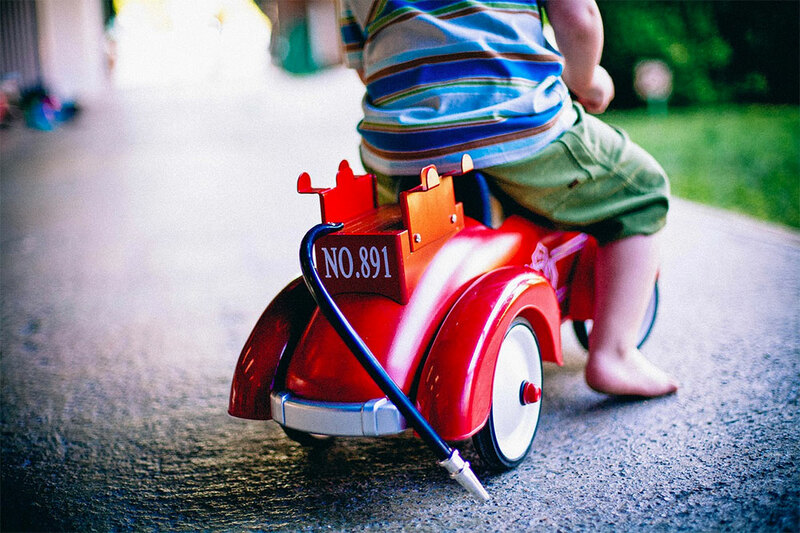 Do you think it’s important for your child to even have a car? Study. (2017). Teen Drivers: Get the Facts. Center for Disease Control and Prevention. Ruvio, A. (2011, October 10). Aggressive Driving: A Consumption Experience. Wiley Online Library.